Mining presents a variety of risks to those working underground. But one of the most dangerous risks in mining electrical work is an arc flash. An arc fault heats the air around it in an electrical enclosure, causing pressure to build and metals to vaporize, leading to an arc flash. The high temperatures destroy even the most powerful metals and the pressure forces shrapnel outwards. Despite exhaustive efforts and safety measures, many arc flash-related injuries continue to occur in mines. According to the Mine Safety and Health Administration, arc flash is the biggest cause of electrical injuries in the mining industry. 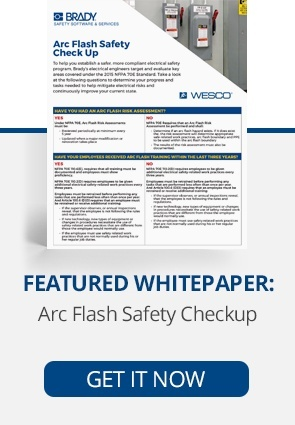 While the NFPA 70E has made continuous safety updates with each new release of their standard codes, it’s estimated that 10 injuries occur daily from arc flash incidents in the U.S.
To reduce the risk of arc flash incidents, remote racking systems can be used to keep employees out of the danger zone. These racking systems allow an operator to remotely insert and remove breakers, keeping employees safe from electrical hazards. As an employer, you hold the responsibility for ensuring that safety procedures are being upheld and enforced. It falls on the employer to understand the risks employees face when working around equipment and the best ways to minimize those risks. Safety risks in an industrial environment can include hearing loss, blindness, bodily injury, or even death. Many employers believe that performing an arc flash analysis is an effective, preventative measure to avoid arc flashes. 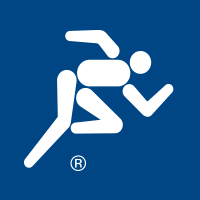 This technique is helpful in predicting the likelihood of an occurrence and identifying dangerous conditions, but it cannot accurately identify every potential threat. It further assumes that power will be disconnected to work. But there are some instances, such as troubleshooting, where power must remain on, increasing the risk for an arc flash to occur. Arc flash analysis doesn’t account for equipment failures and daily operations – a leading cause of occurrences. Employees are required to wear and maintain protective gear according to PPE standards while working around electrical power systems. However, the protective gear often impedes their ability to perform their tasks. Some employees will choose to remove their protective gear to complete their duties, exposing themselves to greater risk. Arc flash analyses have limitations, just like personal protective equipment. Truly reducing the risk of these incidents requires safer systems and procedures. A remote racking system is beneficial in the active power stage and for daily use. It stops accidents from occurring because the employee is kept at a safe distance where they can easily perform their duties. Ultimately, remote racking reduces risk and increases performance. Limiting employees’ exposure to the danger zone is the best way to safeguard them from electrical hazards. Remote racking systems are NFPA 70E compliant, allowing companies to adhere to proper safety guidelines while increasing safety. Remote racking systems create an environment where employees are able to perform their work away from the threat of arc flashes. There is a reduced need for bulky operating gear because workers are not in imminent danger. This also allows for increased efficiency. Minimal gear is needed, so tasks are performed more easily. All operations are done outside the arc blast borders, limiting exposure to blast and debris. Remote racking systems allow the insertion and removal of electrical devices while the worker is outside the flash protection boundary. Motor controls and switchgears can also be closed and opened from a remote location, keeping the operator outside the arc flash protection boundary. Remote racking systems are compatible with low and medium voltage systems, making it easy to implement into your operations. Overall, remote racking systems increase employee safety, limiting exposure to arc flashes by keeping workers out of blast zones. Use remote racking systems to decrease employee injuries and create an overall safer working environment.